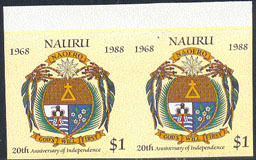 17136 EP NAURU (1978) Scouts*. 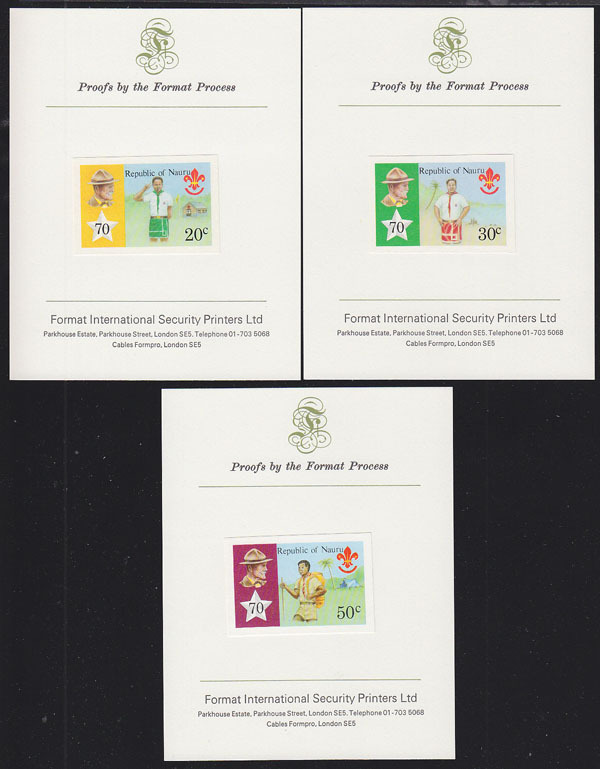 Set of 3 imperforate proofs mounted on Format International proof cards. Scott Nos 188-90, Yvert Nos 181-3. Scouting 70th anniversary. 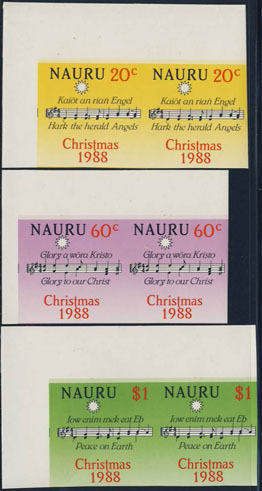 15894 EP NAURU (1988) Christmas song "Peace on Earth"*. Set of 3 imperforate corner proofs. Scott Nos 355-7, Yvert Nos 351-3. 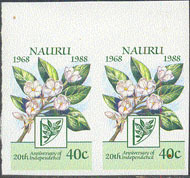 15928 EP NAURU (1998) Arms of Nauru*. Imperforate margin proof pair. Scott No 350, Yvert No 342. 16240 EP NAURU (1998) Tomato flower*. Imperforate margin proof pair. Scott No 348, Yvert No 340.